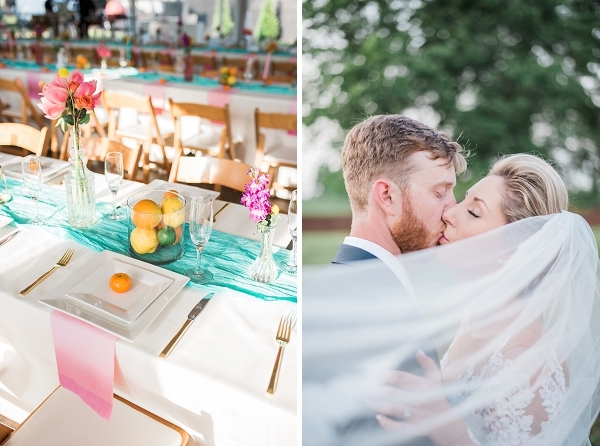 Lemons, Limes, and Love, Oh My! 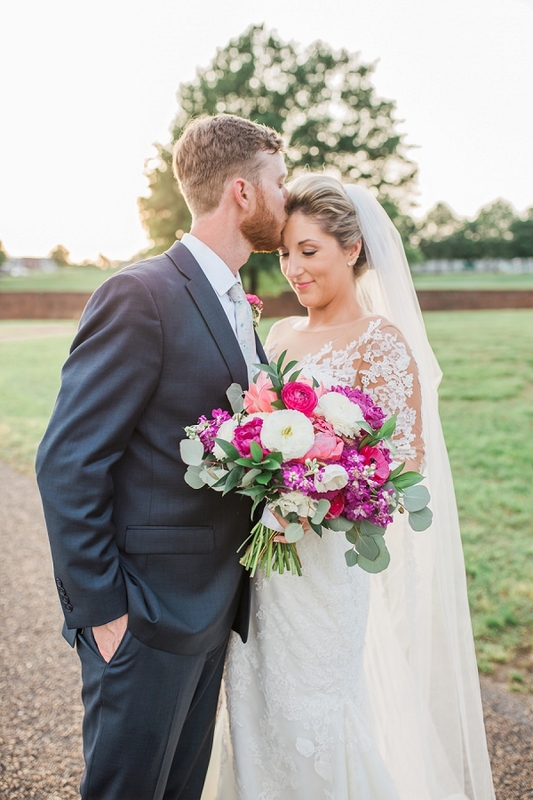 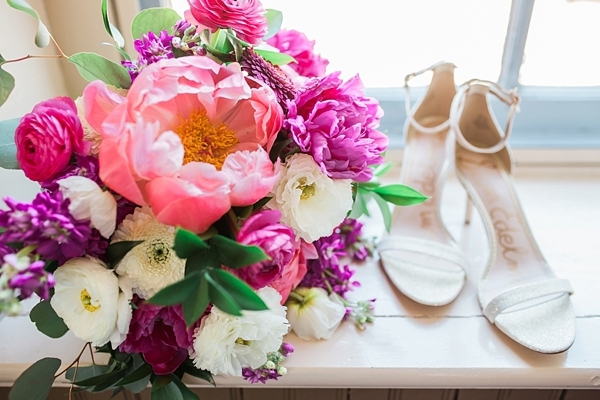 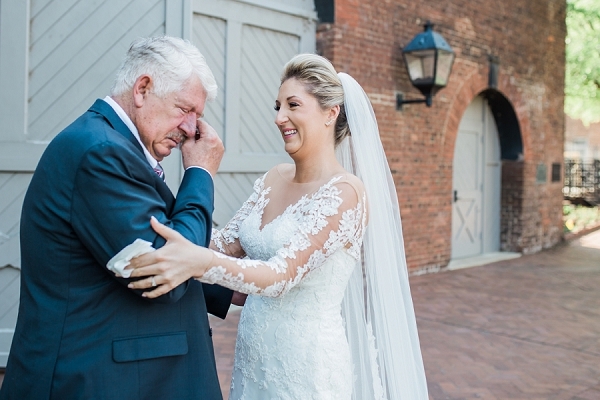 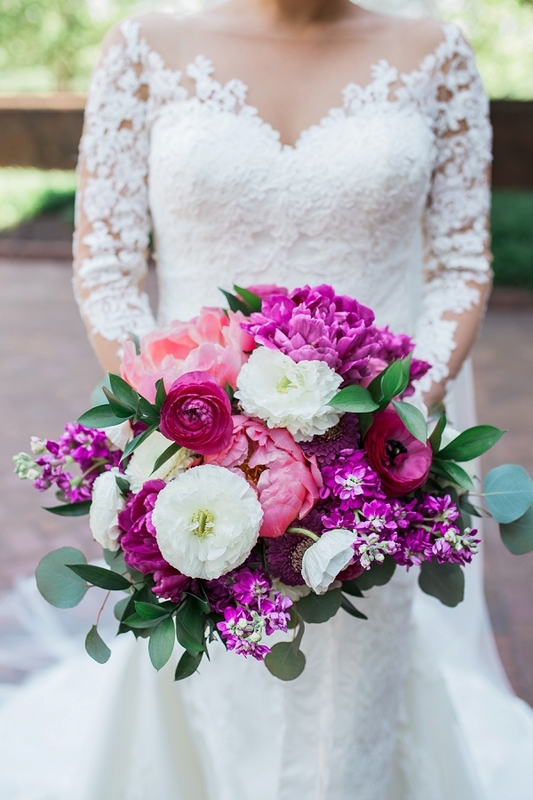 Adrian's personality is bold, bright, and cheery, so when she and Brian began to plan their backyard-inspired wedding day in Richmond, they envisioned a day that matched who she was and who they were together. 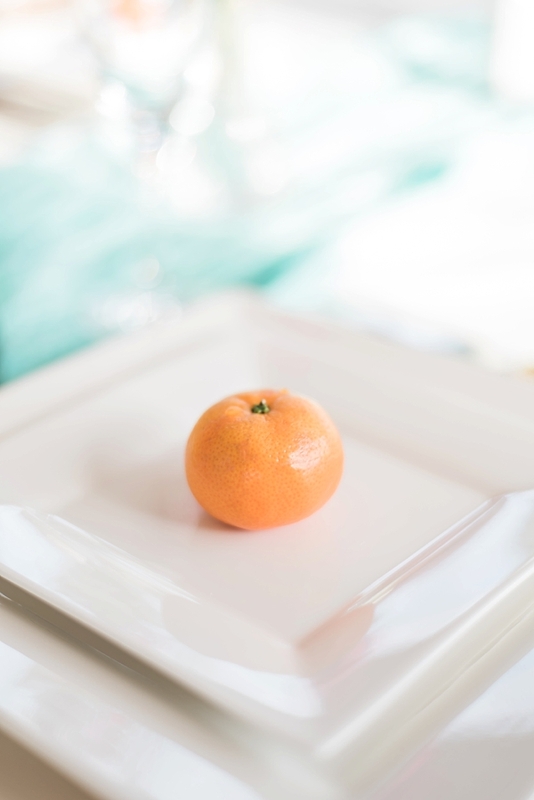 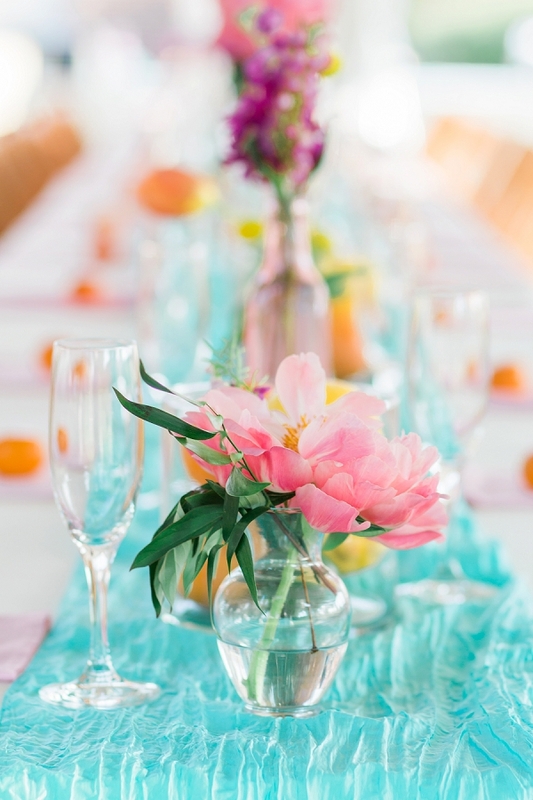 Through the captures of Alyse Michelle Images and coordination of Roberts & Co. Events, this happy couple's vision became reality with vibrant colors, mixed citrus arrangements, and being surrounded by their families. 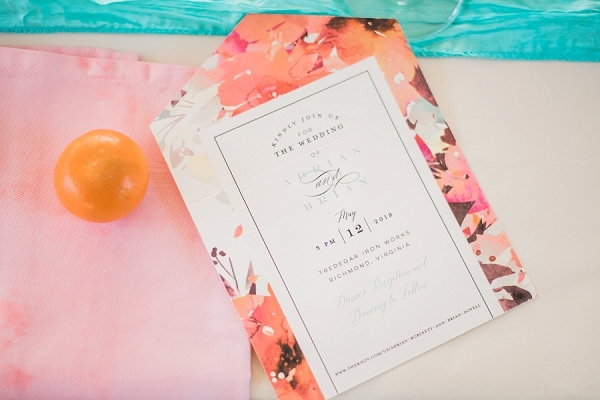 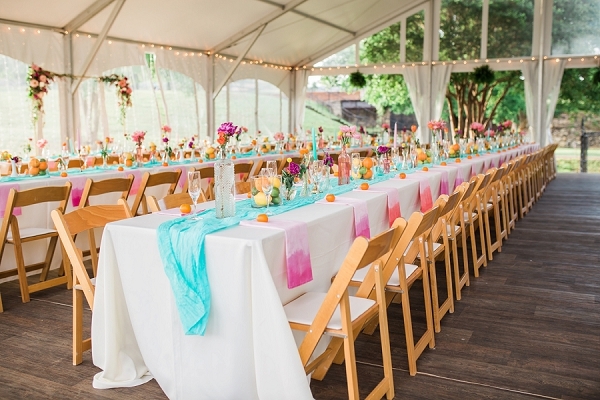 Turquoise, mandarin orange, and peach were the summery shades of the day set on the gorgeous historic grounds of Tredegar Iron Works. 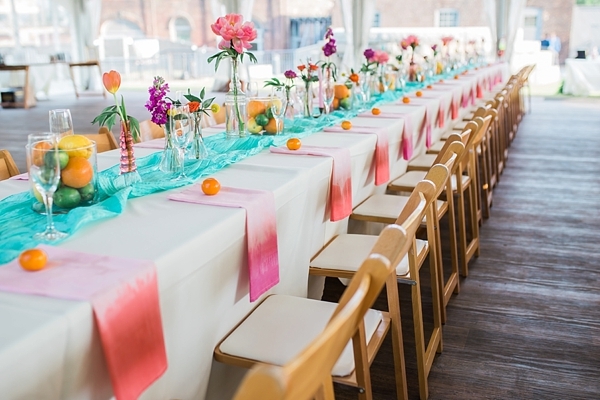 Ivory linens and fluffy pink peonies let the handmade dip-dyed napkins made special by the bride steal the detail show at the reception. 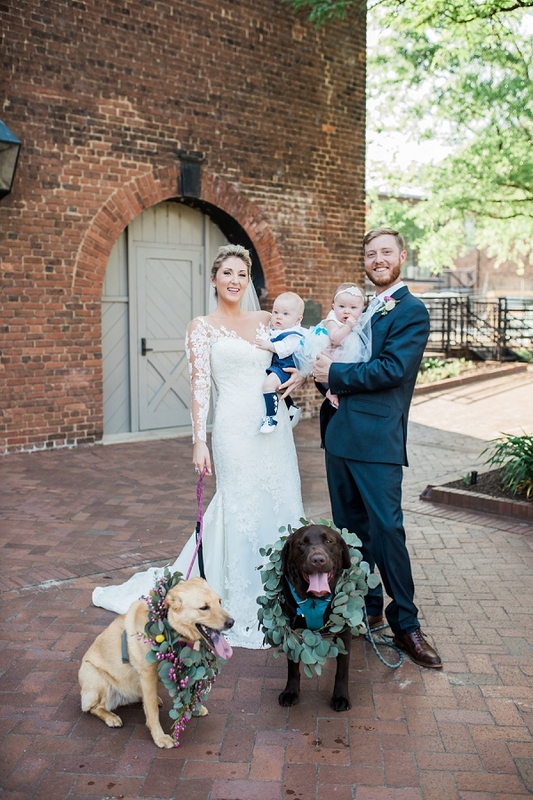 This was a joyful, family-oriented event from the start since Adrian and Brian celebrated with their twins – both children and puppies (adorned with eucalyptus wreaths, of course!) 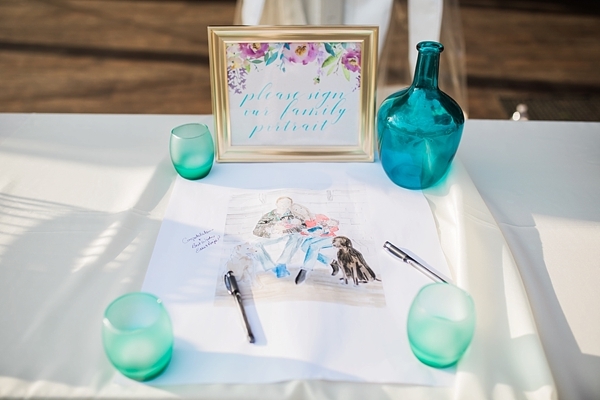 - and even had a custom family portrait illustration for their guestbook. 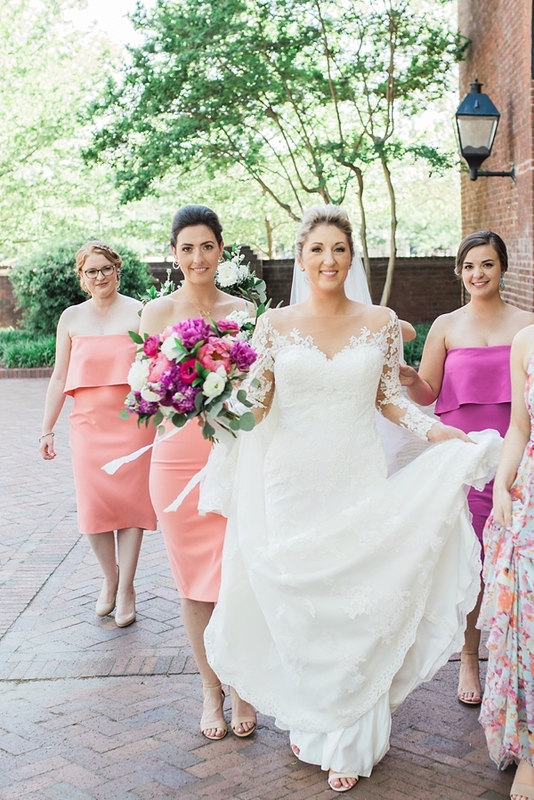 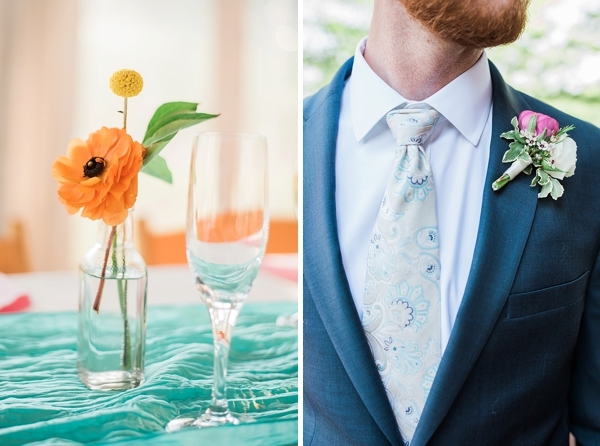 The perfectly pretty bridesmaids dresses and coordinating groomsmen neckties added yet another bright pop to their color-filled day. 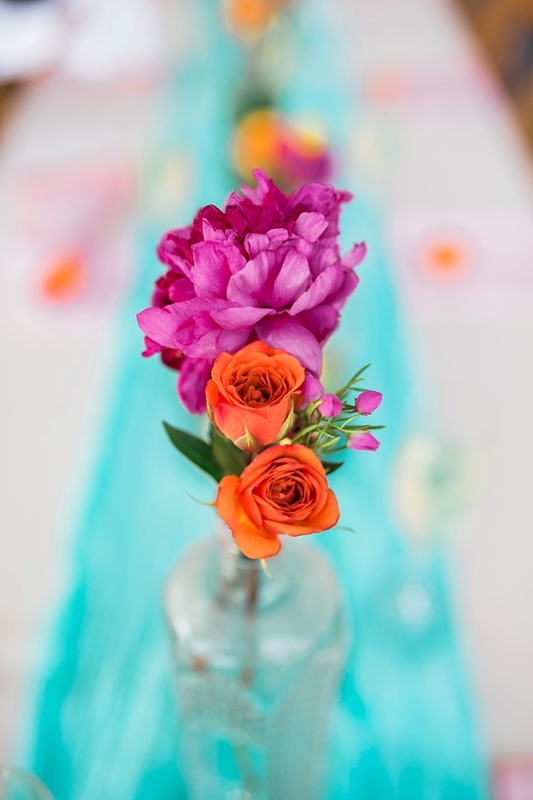 But really, we just wish we could have tasted one of their fun signature cocktails, the Pipeline Painkiller and the Ruby Shandy, made from locally made Belle Isle Moonshine!